What are Pyramid/PONZI Schemes in the Cryptocurrency world? Nearly every investment website that promises profit by hour/day/week is a SCAM and are based on the pyramid or ponzi scheme, they will start paying to attract more investors and will pay with the new invested money the first investors as the promotors that share the REF URLs to reap ref earnings. Personally I find the people that promote such websites for ref earnings as bad as the scamming website itself. It is easy to see how a pyramid scheme can work, but participating in one (regardless of the form in which it is presented) involves deception and fraud because not everyone will receive the money that is promised in return. Named after Charles Ponzi, who ran such a plot from 1919-1920, the Ponzi scheme is a fraudulent investment plan; however, it is not necessarily a pyramid, which is hierarchical. In a Ponzi scheme, there is one person who takes people’s money as an “investment” and does not necessarily tell them how their returns will be generated. As such, the people’s return on investment could be generated by anything. It could come from money taken from new investors, which means new investors essentially pay off the old investors, or even from money made by gambling in Las Vegas or online. 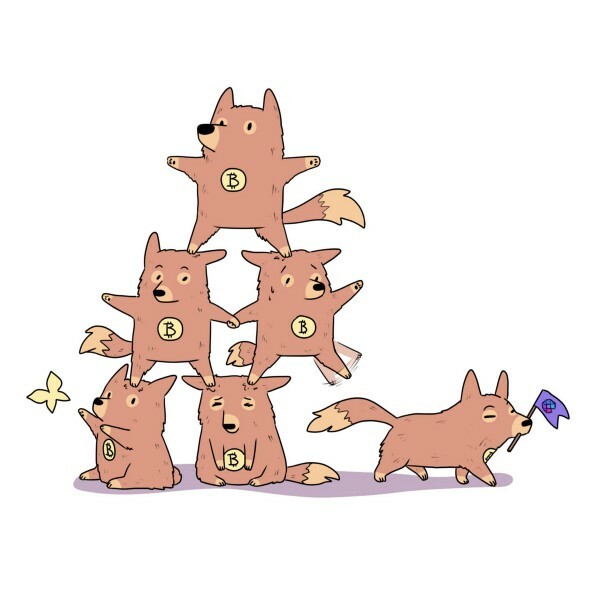 A Pyramid, as its name indicates, the pyramid scheme is structured like a pyramid. It typically starts with one person – the initial recruiter – who is on top at the apex of the pyramid. This person recruits a second who is required to “invest” a certain amount, which is paid to the initial recruiter. In order to make his or her money back, the new recruit must recruit more people under him or her, each of whom will also have to invest. If the recruit gets 10 more people to invest, he or she will make a profit with just a small investment. The problem is that the scheme cannot go on forever, because there are a finite number of people who can join the scheme (even if all the people in the world were to join). People are deceived into believing that by giving money, they will make more money; however, no wealth has been created, no product has been sold, no investment has been made, and no service has been provided. It is easy to see how a pyramid scheme can work, but participating in one (regardless of the form in which it is presented) involves deception and fraud because not everyone will receive the money that is promised in return. As with any other investment plan you consider entering, it is important to ask the right questions. How will this money be invested? What is the rate of return? Who will be investing it? Talk to professionals and do your research before placing your money anywhere. Always remember that if a plan promises you’ll get rich quick with no risk, or doesn’t tell you how your money will be invested, you should exercise caution before getting on board.